Pay a visit to some of the most popular highlights of the UNESCO World Heritage City, Malacca. 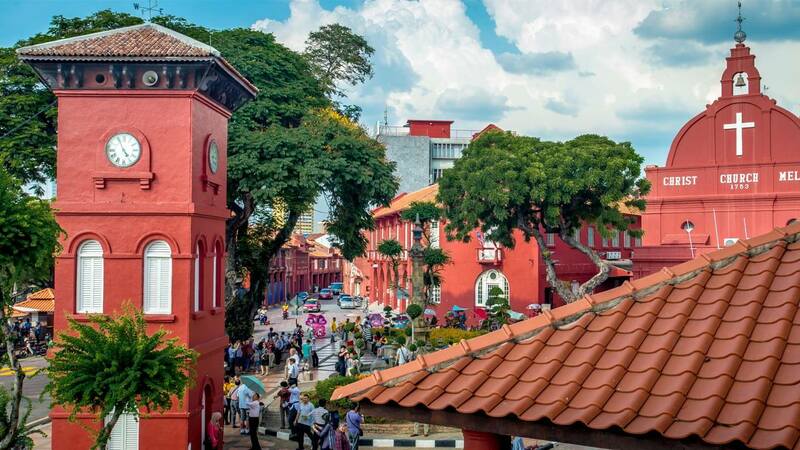 Steeped in rich history, discover Malacca's unique heritage and explore sites including the 16th Century Portuguese St. Paul's Church; the 18th Century Christ Church, the oldest functioning Protestant church in Malaysia; as well as Malacca's most unmistakable landmark, Stadthuys City Hall. Tuck into a traditional authentic Nyonya lunch whilst on the tour and stroll along the vibrant Jonker Street, which is at the heart of the Chinatown district.